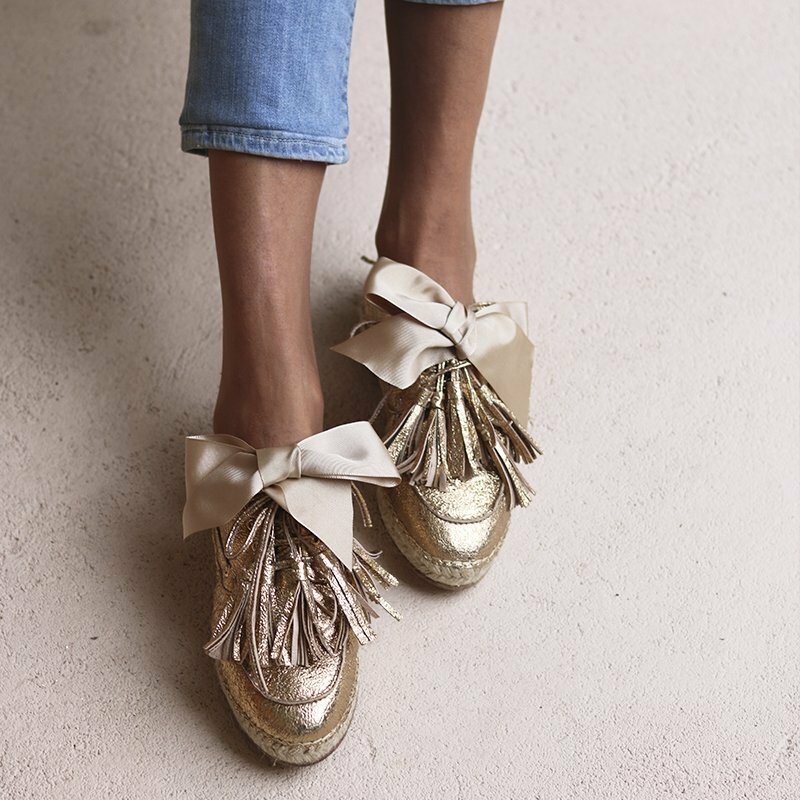 Our ‘Olivia’ espadrilles are our original design, one close to our heart. They are so unique and so perfect that we are very happy to share this with you. They are 100% handmade, hand stitched in our country Portugal. Made of italian leather, with 14 leather tassels as center piece. They have interior leather lining and a beautiful bow in the front.